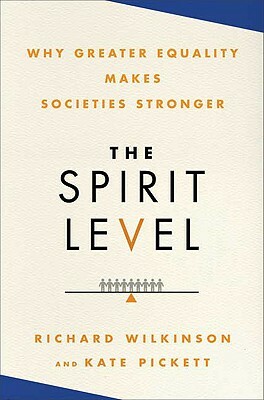 The Spirit Level: Why Equality Makes Societies Stronger, by Kate Pickett and Richard Wilkinson, Bloomsbury Press, 2011. Recommended by Dr. Tim Ready, Director of the Lewis Walker Institute for Race and Ethnic Relations at Western Michigan University and contributor to research and content on Michigan Voices for Action, a premier source for information on poverty in the state of Michigan. What does poverty in the United States have in common with poverty in the developing world? Even though the poor in the U.S. have more than in most other countries, social and economic marginalization accounts for much of poverty’s pernicious effects, whether in New York or New Delhi. Poverty is not just a lack of basic material necessities, but also the resources needed for full participation in the economic and social life of one’s community. Many countries define poverty in terms of income inequality –typically at 50% to 60% of median income. Below this level, the resources needed to participate fully in community life decrease while social stresses increase. That is why the negative consequences of poverty can get worse not only in economic hard times, but also when a growing economy disproportionally benefits the wealthy and marginalizes the poor. As epidemiologists, the authors meticulously document how various indicators of health and well-being are worse in places with the greatest income inequality.As expected, the negative consequences of inequality fall most heavily upon the poor. What is more surprising is the authors documentation of how even the affluent in the most unequal societies are worse off in many ways than their counterparts in more equitable societies. While not explicitly religious, the core message of The Spirit Level is indeed spiritual. Societies that are structured to respect human dignity by promoting something akin to Martin Luther King’s Beloved Community are healthier and even happier than those that tolerate the marginalization of their citizens. This is what the authors are referring to as the spirit level. A special note about this book: NETWORK Catholic Social Justice Lobby staff read this book together in 2011 and were inspired to create a great campaign called “Mind the Gap.” It offers free curricula for teaching about inequality in the United States.